Bang Harder, Stuff Block and Dig Everything! Volleyball is a demanding sport that requires great strength and vertical jump ability. Do you want to take your game to the next level? 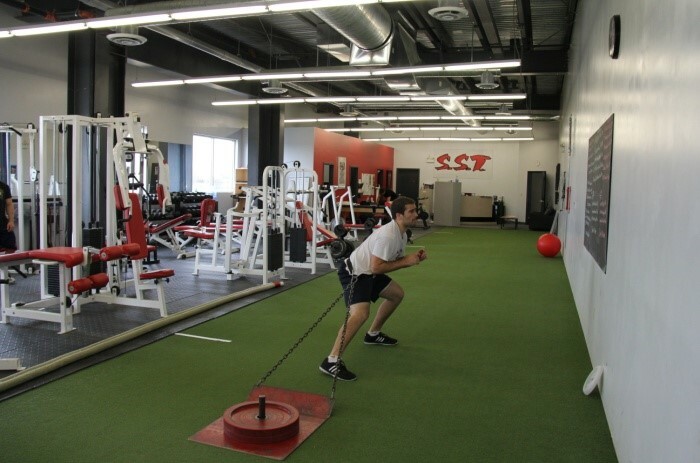 Experience how SST has helped many volleyball athletes dominate their opposition on the court. 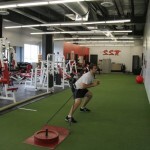 The SST difference lies in the individuality we take in designing your personalized strength and conditioning program. Volleyball is a demanding sport that requires great levels of specific strength, power, flexibility and endurance. With this in mind each SST performance program is meticulously designed to meet the demands and needs of the specific athlete. A Complete strength and conditioning approach to Volleyball takes into account the athletes weaknesses and demands as well as enhances their ability to perform. Whether you play High School, Club, or National level SST will help you achieve results. Though the complete development of all aspects required for volleyball performance we can ensure that you will improve your performance. 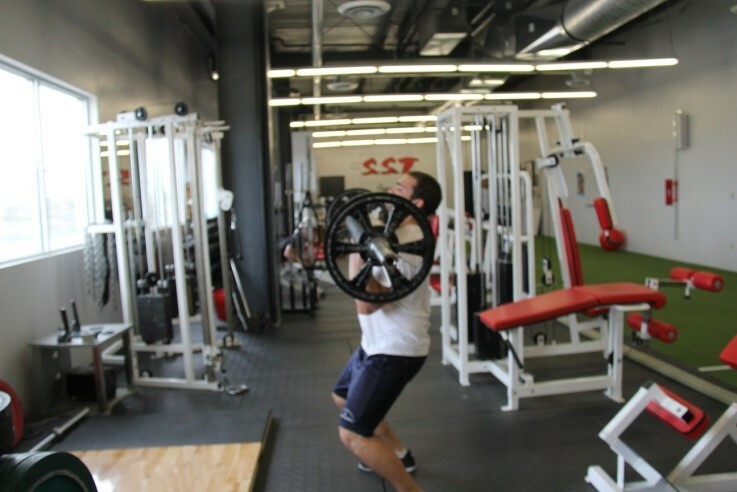 SST’s Vertical jump program will give you the technique, and power needed to increase your vertical jump. Athletes often add 3-5 inches on their vertical jump in just a few weeks. 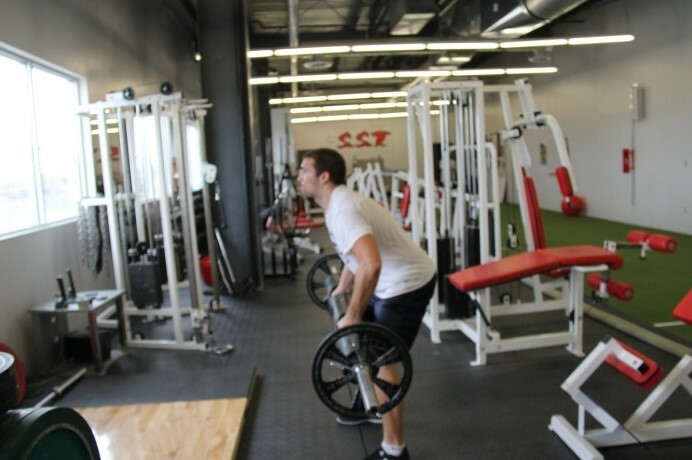 With One-on-One Training, athletes receive the complete and undivided attention of a personal Strength and Conditioning Coach (1 hour). Group Training is conducted by a qualified Strength and Conditioning specialist who works with small groups (maximum eight athletes). 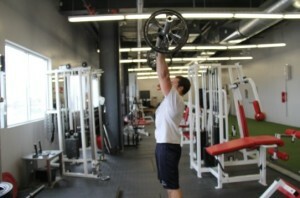 The coach directs each athlete through his or her personalized weight training program. (1 hour). One of SST favorite exercise for improved hand strength SST we like to use a Log with thick grips because it improves hand strength. This is important for taking on blocks, as well as tackling. 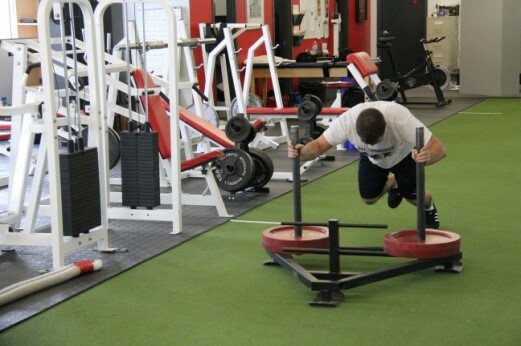 The important part of this exercise is generating power through triple extension. 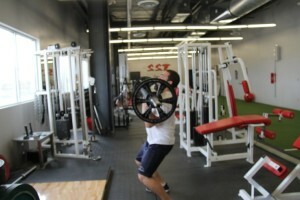 That is using your hips, knees & ankles to generate force through your body and accelerate the bar up to your shoulders. Once there you re-bend your knees and again use triple extension to help lift the weight above your head. What are exercises are you doing to improve throwing now? How many sets are you doing? How long have you been doing this program for? OK, so what should baseball players be doing to throw harder? The first thing we have our athletes do at S.S.T. is to go through an athletic assessment. One of the things we have them do is different strength tests to find out how strong the athlete is relative to their opposite lifts. 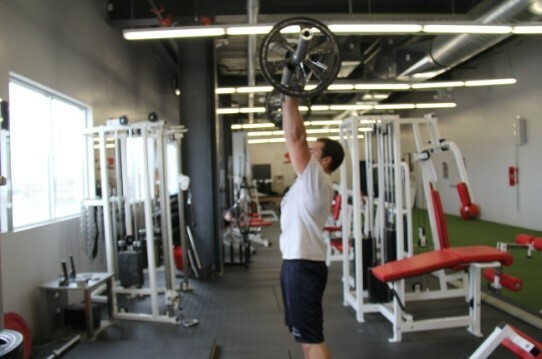 For example, we may get a 160 pound athlete who might be able to close grip bench press 200lbs but then can’t do two medium grip chin ups properly. This is a relative strength imbalance which will limit their throwing velocity. Solution #1: Stop training the muscles on the front of your body. Most of our baseball players and throwing athletes at S.S.T. who have done this have had a significant increase in performance. Pitchers are throwing faster – some more than 10mph in 4 months – and our fielders and other athletes are throwing further, without pain! 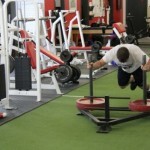 Here is a sample beginner program to train the decelerators of a throw. To be done 2x/week on both arms. This routine is just a sample and should only be used for about 6 workouts because a routine is only as good as the time it takes for your body to adapt. (For information on why click here) Once your body adapts, you need to progress. This routine addresses only two shoulder imbalances and is not a cure for all imbalances of the shoulder muscles. There are several other assessments that we do at S.S.T. to determine shoulder health and all need to be addressed to really be able to “Throw the Heat”.